Martha Corey, illustration by John W. Ehninger. 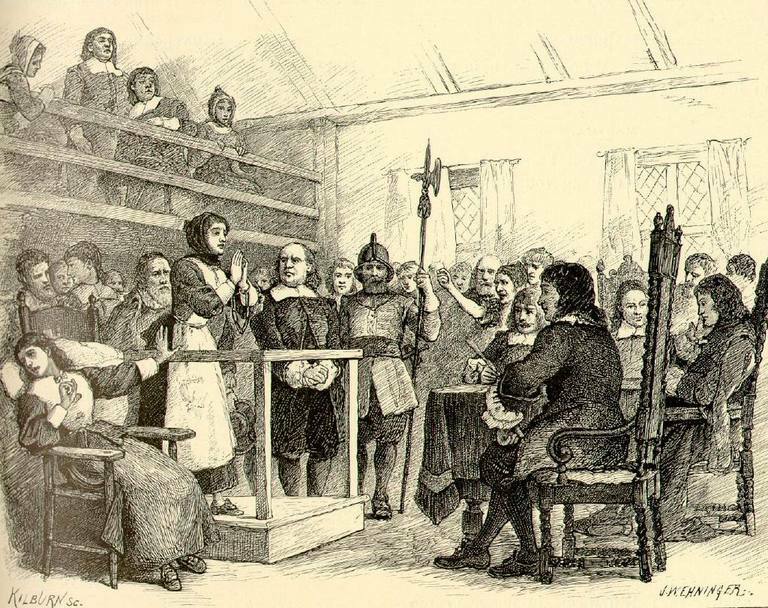 During the Salem witch trials of 1692, twenty-four accused witches died, 19 were hanged, one was pressed to death, and four died in prison. His wife, Elizabeth Proctor, was condemned with him, but avoided hanging because she was pregnant, and the executions had ended by the time she gave birth.